There are many definitions on the internet regarding the various “get rich quick” networking schemes. It can be confusing, and so it is worth the effort to define them clearly so that we know what is legal and what is not. If you would like to know the difference between Ponzi and Pyramid, check out Wikipedia here. Basically, a Ponzi system is where a single person recruits all his investors (one-to-many). The Ponzi system promises high returns on investment, USING money from subsequent investors. For example, John promises Person A a 50% returns on his investment in 10 days. This will attract a lot of investors every day due to the high rate of returns. Within the next 10 days, Person B, C, and D also sign-up, so John will simply use B, C and D’s money to return the 50% interest to Person A. Person A will not know where the money comes from as long as he gets the 50% extra back in 10 days as promised. As promised? Doesn’t that mean he should invest even more money the next round. There you go, John will be a millionaire in a very short time. You can read an unverified story about Charles Ponzi here, the originator of the scheme back in 1920. A point to note is that such a scam is still used occasionally today, in the form of “hit-and-run”. 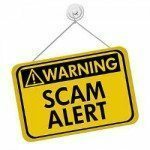 There was a real case recently, where the scammer used “high rate of investment returns” to lure in their baits. The scammers will first return the interest within an agreed time frame to the investor as promised, so as to gain their trust, get them to invest even more money, or tell their friends about it. It is contagious – who doesn’t want to ride on a “get rich scheme” that seemed to work after all the years of hopeless lottery attempts? Once the scammer has collected sufficient money to call it quit, he will then disappear with the money. This is why we don’t see any scammers reaching to as many people as the earlier scammers did like Charles himself. The “hit-and-run” method is used so as to avoid getting noticed by the authorities – it will be too late if the police found out and knock on their door. All they need is a small group of believers (or ignorants), make enough cash, and run before the whole party gets “too big and glaring”. For the high-risk investors – we do not suggest trying to make the first money (i.e. the bait) and get out for good to avoid the “run”. You will never know which part of the game the scammers are at when you hand over the money. Pyramid systems are generally people recruiting people (with downlines forming a pyramid), often without selling any real products or real investment plan in the backend. There are different variants, such as downline paying the upline, upline earning commissions, or a forced matrix system with either characteristics. In a forced matrix system, it enforces the number of downline a participant can have. For example, a 7×7 matrix means that every person in the system can only have 7 direct downlines, while the 8th onwards will move under one of the existing direct downlines by random. In this way, a forced matrix can build a deeper pyramid as compared to traditional systems. Generally a Pyramid System is is different from MLM which sells value products, such as Amway and Sunrider, etc. We think that it can be confusing and errorneous to use the terms (Pyramid, MLM, etc) to decide if the next one you are joining is a legal system. Whatever the marketer call it, it would be most important to understand how a particular system works rather than the term used, to determine if it is legal or not. It may be advisable to check with the local authorities for more information before diving in.